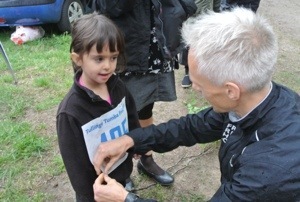 In the past week, I’ve attended three unique races in my Swedish base of Stockholm. Through them, I’m learning about a culture of running beyond my personal discoveries in the sublime forest trails. What I’m finding is a movement to attract more people, youths especially, to the sport through inclusive, innovative events. Given the recent Stockholm riots, the time is ripe for community-building, healthy and productive activity in the streets. 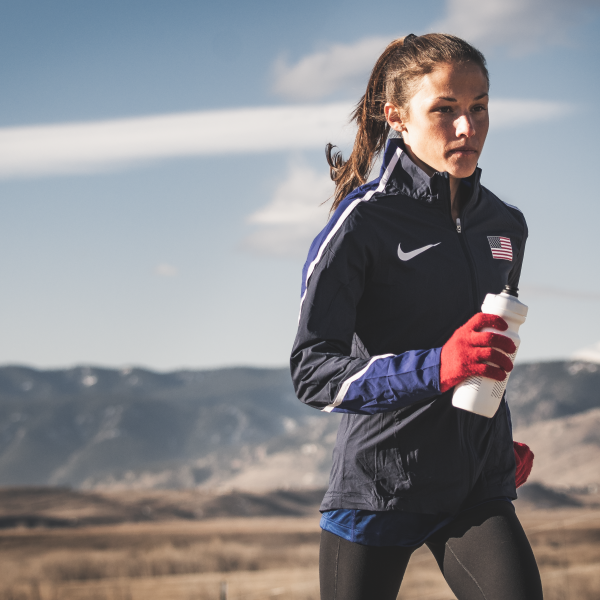 Running, in my mind, packs unparalleled potential to meet that need. First up was last weekend’s Skarholms Loppet, featuring a course fun enough to rival its name. 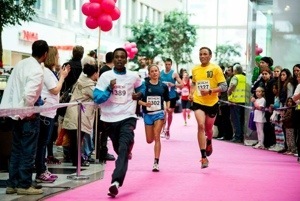 Not your ordinary road race, this annual 5k attracts people through its hip, urban atmosphere and trademark element: a purple-carpeted segment through the corridor of a shopping mall. My host Brian and his co-workers worked tirelessly the past few months to pull off a smooth and memorable race, and let Matt and I get in on the action from a few different angles. 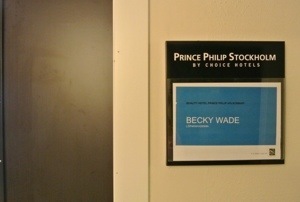 We stayed in the race hotel the weekend of the event, getting an intimate look at the behind-the-scenes work as well as a feel for a different part of Stockholm. 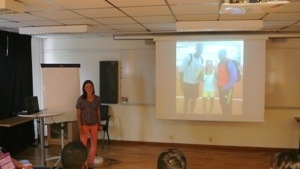 The night before the race, I got to share a bit of my global running journey in a presentation to a small group of race officials and participants. 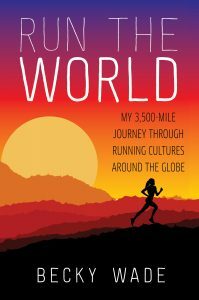 I spoke about my running background, the Watson Fellowship, and some of the overarching themes and differences I’ve discovered around the world so far. My talk and the questions it prompted nudged me to start organizing my scattered thoughts and considering other productive outlets for them. The following morning, Matt and I hung out at the finish line of the kids’ 2k race and handed out medals to the finishers. 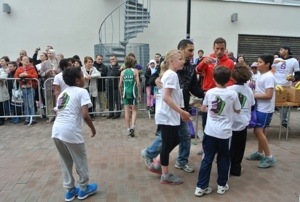 We were impressed by their efforts and highly entertained by some finish line theatrics. Afterwards, we took to the streets for the 5k fun run, which we originally planned to jog together and soak up the atmosphere. It was all fun and games until we realized that a girl in skinny jeans was beating us, so we had no choice but to step it up a notch and at least make a tempo run out of it. Matt and I really enjoyed running through the mall, past a few DJs, and through a quiet Stockholm neighborhood, and are eager to follow the race’s development over the next couple years. 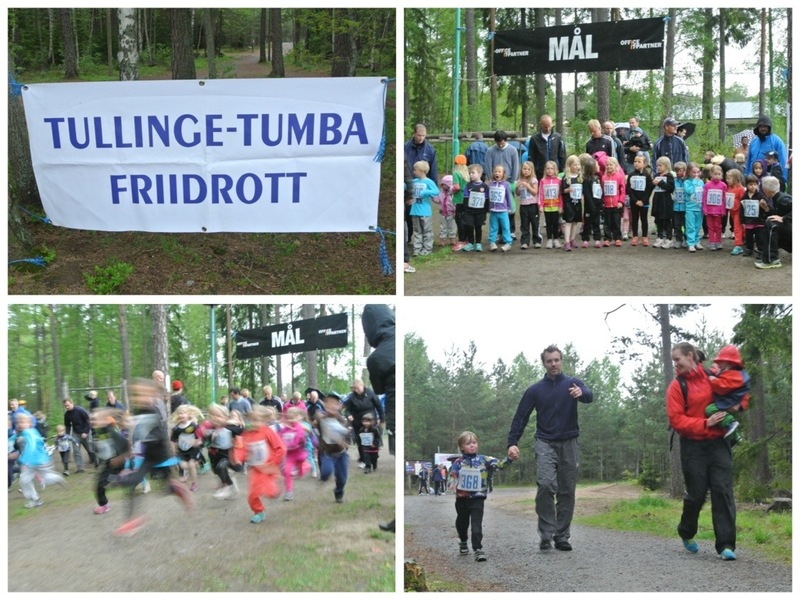 The next race I saw swapped the purple carpet for a pine-needled one, and attracted about 30 local children to a 700 meter dash through the forest. The drizzly conditions had nothing on those little rascals, as they huffed, puffed, and piggy-backed their way to the finish line. Both Nielsen girls did great, looked adorable, and had a good time, and that’s what it’s all about! Finally, this past weekend I spectated for the first time at a national championship dedicated solely to relay events. Track and field is typically such an individual sport that it was rejuvenating to witness a more team-oriented, spirited affair than most meets are. I went to support a new friend, Lisa (in the green uniform above), who I ran with last week and will run with some more this week. She and her team did great in the 4×800 and are looking fit as they approach the meat of the outdoor season. Even though I only knew a couple of competitors, I had a great afternoon in the sun, watching the magical effect of that baton over and over again. My timing in Sweden couldn’t be better because I’ll also be here for the Swedish Marathon Championship, which will be run within this Saturday’s Stockholm Marathon. Brian is coming off of a super impressive 2:27 personal best in the Manchester Marathon about a month ago, and should be right up there in the mix. I’m planning on biking around the course to cheer him on and see as much of the race as possible, and can’t imagine a more fitting last weekend of a fabulous month in Sweden. Finally, I want to give a shout-out to everyone in Florida for the Sanderson family reunion this week. Have a blast, show FLA how the Rock Lobster is done, and watch out for those gambezis! I miss and love each of you, and can’t wait until I get to see you all together. Fred– It was great meeting you too! I love the spirit behind Runday and was impressed by all of your efforts. I’ll definitely be attending the marathon this Saturday so will be on the lookout for y’all at those points. And thanks again for translating the workout for me! Take care! I was at the Runday training tonight. Really nice to read your adventures here in the blog. Have a wonderful time the remaining time in Sweden. Hi! Thanks for checking this out and letting me jump in the Runday practice. 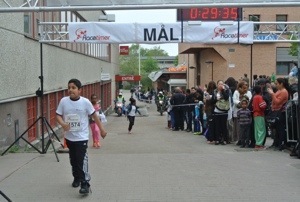 I had a great evening and am loving the running atmosphere here (especially with today’s perfect weather!). Take care! I saw you last year running the 10k at Stanford! 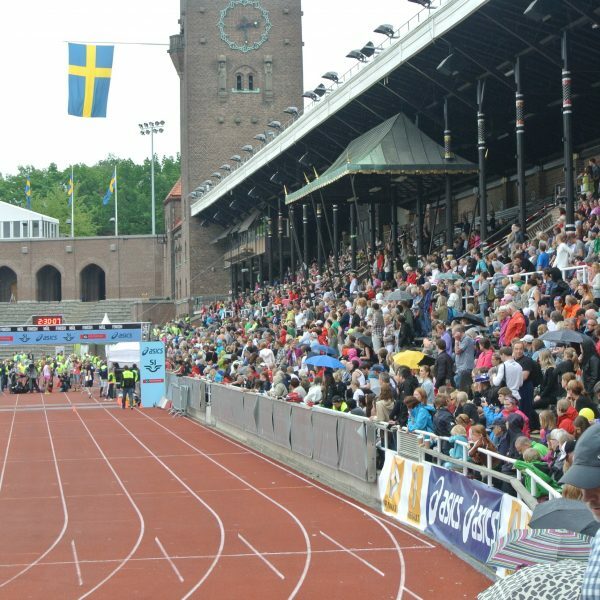 Althought I did not talk to you, I just remebered you ran very well and now I saw on a website i visit quite frequently (Runday.se) that you’re in Sweden. For how long are you staying? 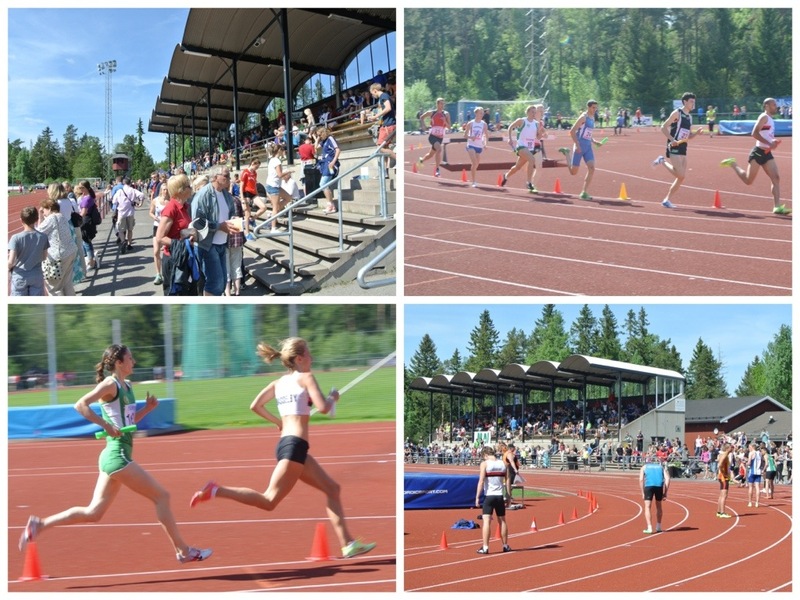 I am a runner too, I run for Hässelby SK and I train mostly by myself because I have a coach in America. It would be fun to run togheter if you have time. Since I’m mostly running by myself I am more then happy to run with someone. Email me or message me on facebook if you want to go for a run. I show you the good trails around here! I’m so sorry I just now saw your comment! I left Stockholm last week and would have loved to run with you. 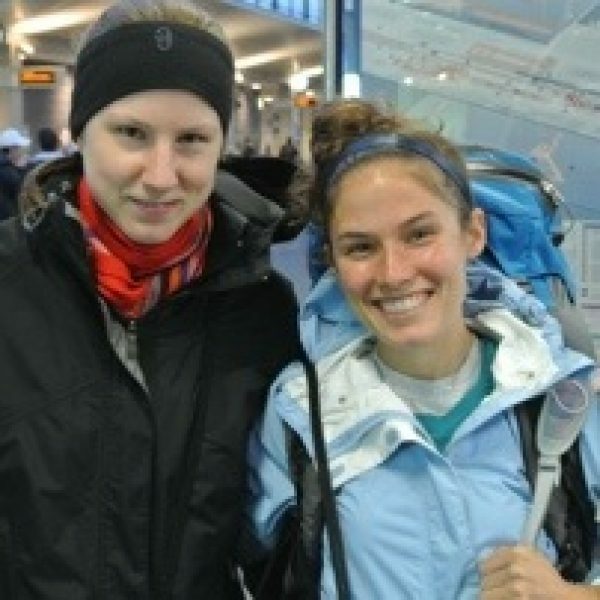 Hopefully we’ll cross paths either in the US or in Sweden again, and best of luck with everything!